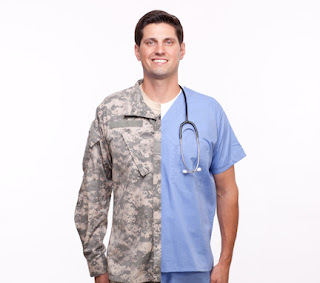 The Big News in Military Disability: Need Help Transitioning Into the Civilian Workplace? Need Help Transitioning Into the Civilian Workplace? Many veterans struggle to make the transition to civilian life, finding it difficult to translate their military job skills into the civilian workplace, but disabled veterans find it particularly hard. We’ve compiled a short list of great programs designed to help make this transition easier for disabled veterans. Many of them are free, so don’t miss out on these great opportunities. are covered! For more information, go to www.vets.syr.edu. The VA’s Vocational Rehabilitation and Employment (VR&E) program offers resume development, job training, and coaching in job seeking skills among other services. Some programs offer help in starting your own business. To check out offered services, go to www.benefits.va.gov/vocrehab. The VA also has several special hiring authorities for veterans. These authorities have been granted to make it easier for federal agencies to hire veterans, including those with disabilities. Check out the website at www.fedshirevets.gov. There is a lot of useful information there. The Veterans’ Employment and Training Service (VETS), an independent agency within the US Department of Labor, assists veterans by providing job training and job placement opportunities. For more information, go to www.dol.gov/vets. NS2Serves is a non-profit organization that offers training and employment in high-tech careers to disabled veterans. They have an intensive 3-month residential training course in Leesburg, VA, where participants attend classes Monday through Friday from 8 a.m. to 6 p.m. Travel, room and board, and a monthly stipend are provided. Placement assistance to work in US national security jobs is provided upon completion of the course. For more information, please go to www.ns2serves.org. There are more resources out there than we have room to cover. Hopefully, these will get you started on the path to a new career!